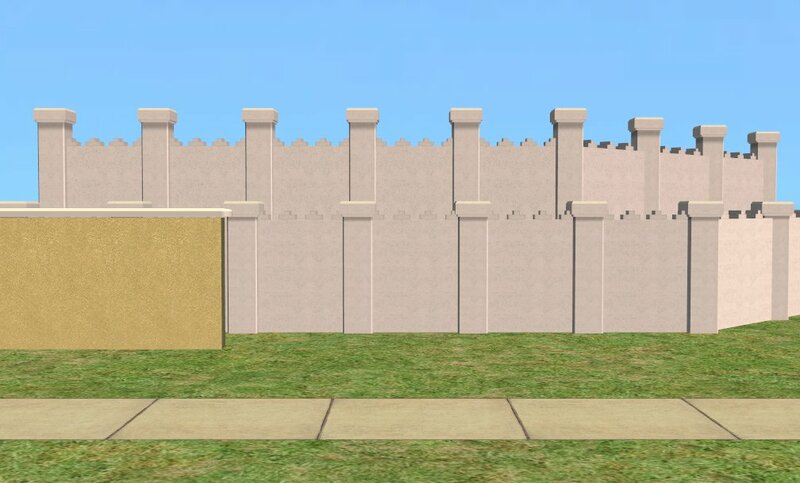 A Quickie, a friend at N99 asked for a half-height royal courtyard fence to use on her Moroccan building. So I made her one. Same price as the full height one, and only in white. Needs an expansion pack, because I didn't make it base game. I look forward to seeing what people do with it. And as Michelle asked so nicely for a shorter again one - Here's a shorter again one. Oh! I like, I'd like to see it shorter as a balustrade as well.